I've never detoxed before, does this matter ? What type of health center are you? Do you treat specific diseases or illnesses? I take vitamins each day, why do I need to detox? Do you offer accommodation to your customers? Is there any flexibility in the packages you offer? Can I book in advance to avoid disappointment? No it doesnt matter at all. In fact, for the majority of people visiting our health center it is the first time that they have gifted their body such a complete detoxing experience. It is never 'too late to start'. Many customers in their 70's report wonderful feedback to us of how their bodies ache less and how they are enjoying greater levels of energy even after a few days of treatments. The Chiang Mai Ayurvedic Center is run by group of highly experienced health practitioners: a medical doctor, a certified Ayurvedic practitioner and qualified Thai herbalist. Our specialist doctors are competently trained in the sciences of Ayurveda, nutrition and each of the detoxing treatments. All customers purchasing a 3-7 day balancing package will receive a free personal health consultation from our Ayurvedic doctor along with many practical guidelines and recommendations based upon your individual body type and lifestyle. We advise firstly completing our dosha questionnaire so that you have a clear understanding of what your dominate dosha is at this stage in your life right now. Having established your dominate dosha all you need to do is decided how many days you would like your package to consist of. A 3 day package is an excellent program for any regular detoxer; the 5 day package is recommended as a suitable annual detoxing program; the 7 day package will yield the greatest detoxing results and has been shown to create the most long-lasting and healing results for our clients. 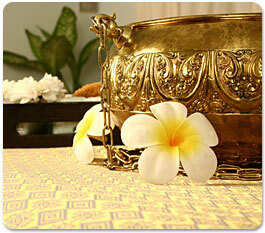 All packages will leave you feeling completely rejuvenated, calm and relaxed. If you are older than 40 and have never given your body a serious detoxing program, then we recommend you consider gifting yourself one of our comprehensive detox packages (5 or 7 days) which can be spread comfortably over the time you have while in Chiang Mai. You can expect noticeably positive changes in your physical, mental and emotional health after such a program. No, rather than focusing on the treatment of specific disease or illness, we focus on balancing the inner energy systems and facilitating the detox process thereby strengthening the immune system. Our belief is that by stimulating the natural healing processes, whilst facilitating the removal of toxins, our bodies are able to far better fight illness and remain strong and healthy. With the increase in the number of chemicals introduced in the last sixty years, there has been a dramatic increase in incidences of auto-immune disease, allergies, common infections and cancers. There is no coincidence in this increase. There are tens of thousands of chemicals in use today and more than a fourth of these are known to be toxic and nothing is known about their interactive effects. Body fat has been tested that contains residue of hundreds of chemicals. Metals such as mercury, aluminum, lead and cadmium are everywhere and virtually impossible to avoid. Chemicals can act as toxins that can block receptor sites on cells, cause changes in calcium homeostasis, selectively kill cells and alter expression of gene products. Metals and chemical toxins weaken the immune system and cause increased vulnerability to virus, bacterial fungal and parasitic infections. In their attempt to detoxify these substances our bowel, kidneys and liver are being overloaded by these harmful toxins. Our eliminative channels have become blocked or dysfunctional because, in conjunction with these synthetic chemicals, the western diet is extremely acid forming and de-vitalized. Our detox programs strengthen the organs involved in detoxing and releasing stored toxins, expelling them through the organs of elimination: the skin, intestines, liver, lungs, kidneys and lymphatic system. The reason medical professionals often find 'vitamin deficiencies' in their patients is not because the individual isn't consuming enough vitamins, but rather, because the vitamins are not being absorbed by the body. The main area where such absorption takes place is the colon, and experts agree that most people have constipated and clogged colons. So a key part of maximising the benefits of taking vitamins and eating healthy food is to ensure that your colon is clean enough to absorb what passes through it. Our colons are designed to absorb vitamins once they are broken down sufficiently by the digestive system, yet most people’s colons are coated with a thick slimy crust that prevents such essential vitamins from ever being absorbed. You could quite easily be spending a lot of money of excellent quality products, but be absorbing very little of what you’ve paid for. No, we are not a resort where people come to stay. Instead our customers come to us during the day Monday to Saturday to relax, detox their bodies and learn about ways in which they can maintain a state of well being. Yes. We like to offer flexibility with our packages so that our customers can accommodate other holiday plans with their detoxing/balancing program. 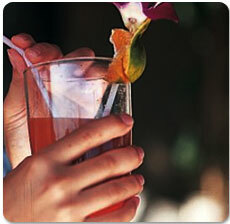 Some customers like to dedicate 3-7 consecutive days for a concentrated daily detox. Other customers prefer to break up the treatments and arrange to have them fitted in around their other planned activities while in Thailand. In order to get the best result from your treatments, especially with colonic irrigation, we recommend not having too many days in between treatments. Of course, in fact we strongly suggest that you book with us well in advance especially if you are planning to be in Chang Mai during the peak season between October and March of each year (click here for our booking page). You can contact us via e-mail or Skype Internet telephone. Please see our Contact Us page. Please go to our contact us page for further details.